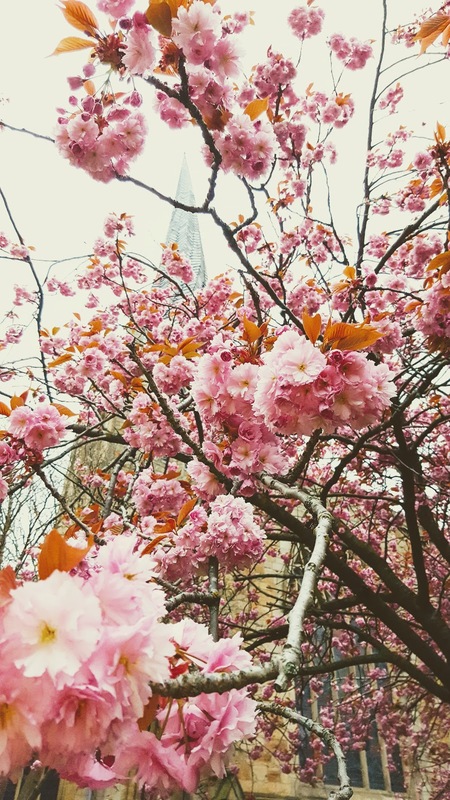 Chesterfield Crooked Spire Spring Bloom: Wednesday Blog Hop. How is your week going so far? Hopeful good. Another beautiful morning here. It is a pleasure to go out walking Mollie on days like this when we can leave the Winter jackets behind. It was really warm yesterday, just like a hot Summers day. Then it did turn really cold last night. When we were at the running club. I was shaking with the cold. It took ages to warm up too! I hate to be cold! I am so nesh. Not been for over a month with Easter and then sometimes things get in the way. I can really tell I’ve been today though. My legs… Ouch!! 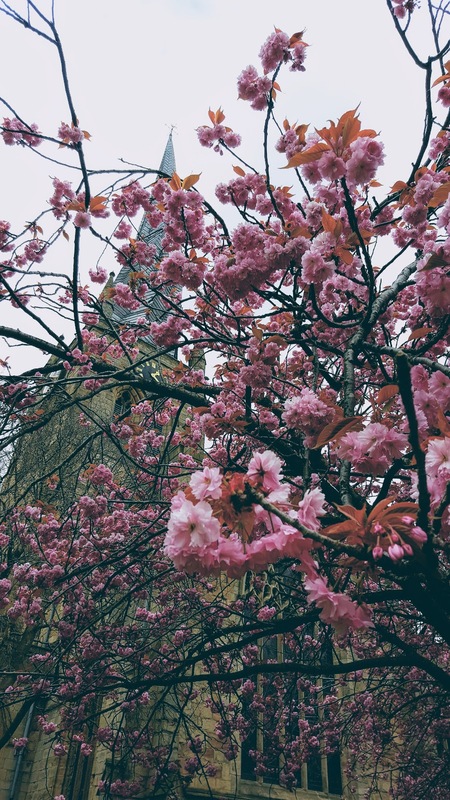 Welcome back again this week to our fun and creative Weekly photo blog hop. 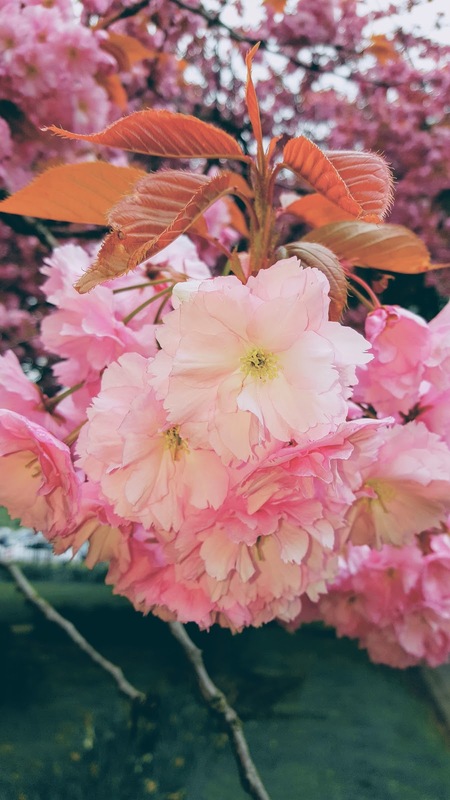 The Wednesday blog hop where you can link any posts with photos in them. Wordless or not so wordless. 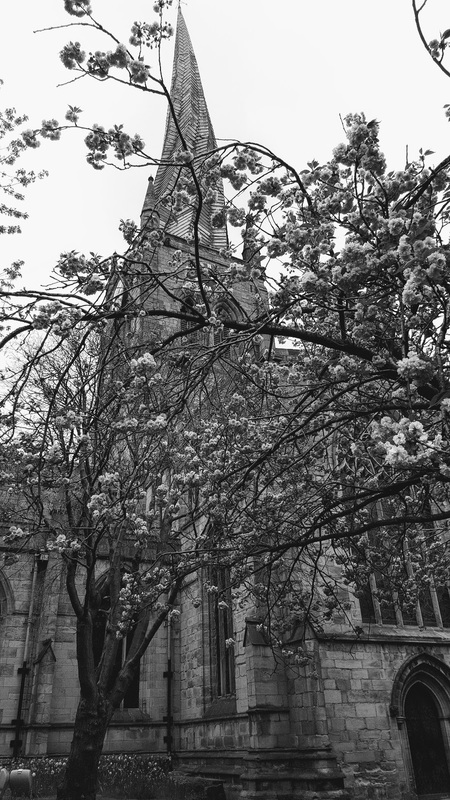 My photos this week are from a day out in Chesterfield, taken a few weeks ago. With all the pretty pink blossom on them. 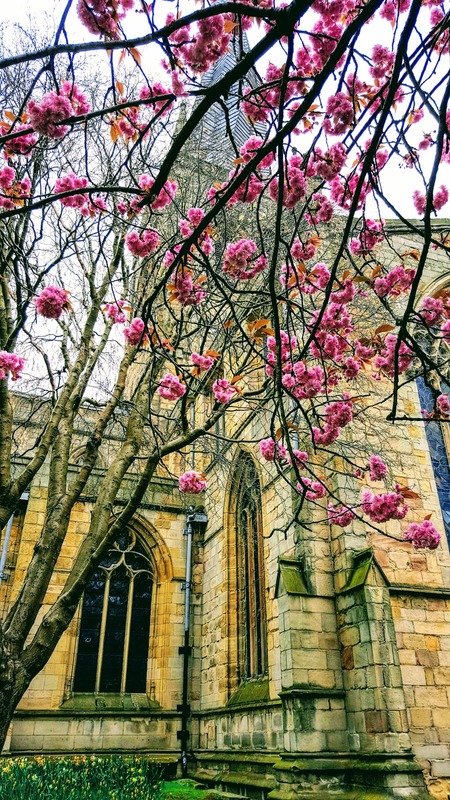 I love to see all the colours of Spring around, it really does cheer you up. 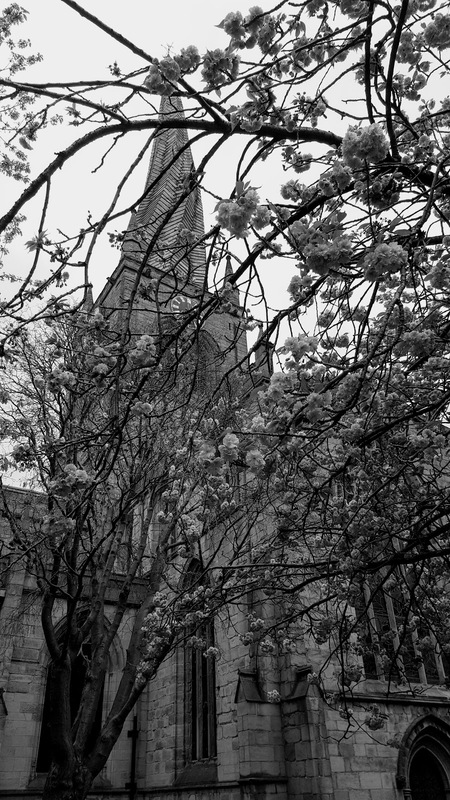 Pink bloom with The Chesterfield Crooked Spire in the background. Look up! A long way to the top. Trying it in black and white. A lovely place to walk around. Trying out different iso’s on my phone. Do you want to join us this week? Simply link up any posts with photo’s in them. The posts can be wordless or not so wordless. Please leave a comment after you have linked and I will hop over to leave a comment in return. My birthday countdown. 2 days left!! Ha!! See you on Friday for the weekend blog hop. Sorry, this linky has now expired. How To Make On-The-Go Sweet Chilli Beetroot Frittata. How To Make Beetroot Falafels. The Photo Gallery:World Photography Day…. "How To Make On-The-Go Sweet Chilli Beetroot Frittata"
"How To Make Elderflower Bakewell Mug Cakes"
How beautiful! We're so cold still and extremely wet! Oh my! Those flowers are stunning! Pink! I wish they grew here. Such gorgeous photos! Love all of those pink flowers! 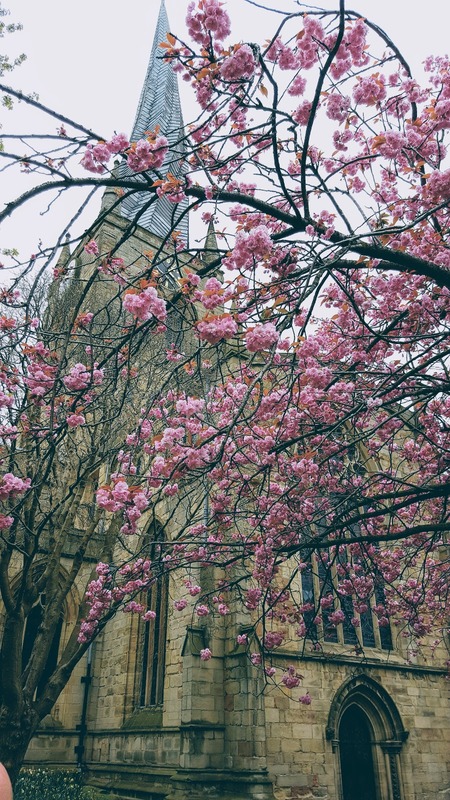 Beautiful blossoms and building! Have a wonderful birthday! Beautiful photos. Love how the colors just pop out. Thanks for hosting and have a wonderful rest of the week. 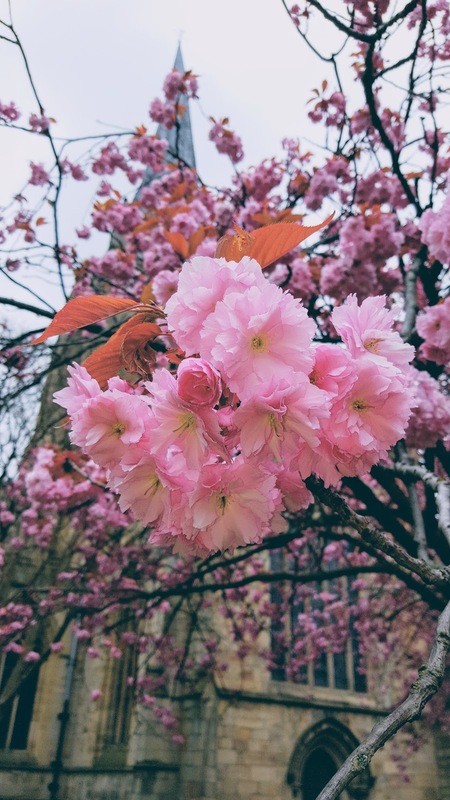 Thanks for all those photos of pretty pink blooms. I agree with you on the cold. As I'm heading into autumn now, there is no way to avoid it. 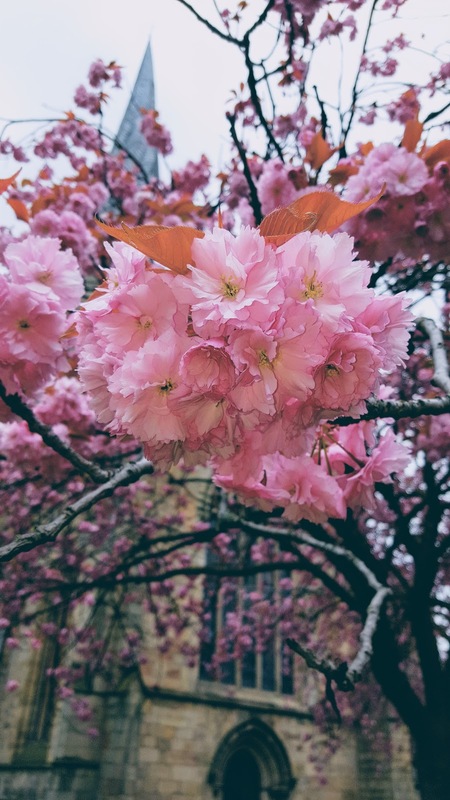 Beautiful, beautiful blossoms – I do love spring! I love the flowers! Happy Birthday! Have a great week. Absolutely beautiful photos. Happy birthday! Beautiful pictures. Love all the pink.